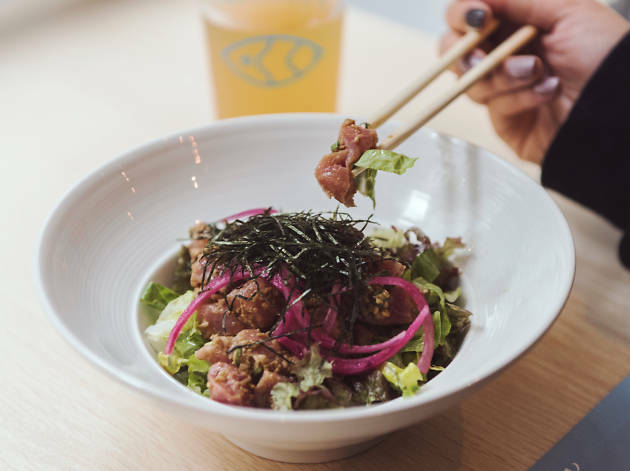 Using the highest grade of fish and the best quality ingredients, Aloha serves up quick and healthy poké bowls. 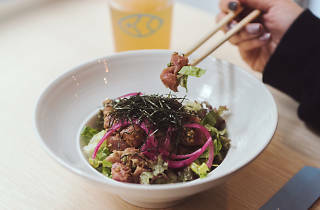 Recipes here are created by chef Erik Idos (former executive chef of Nobu and current executive chef of Chino), including salmon with yuzu miso, avocado and cripsy shallots or salmon with gochujang (Korean pepper paste), cucumber and seasame. There's cooked and veggie options, too.